A handmade ring is unrivaled in its level of craftsmanship and results in a more refined, yet durable finished piece. Our handmade engagement rings are crafted right here in New York City with careful attention to detail and endless ability to customize. 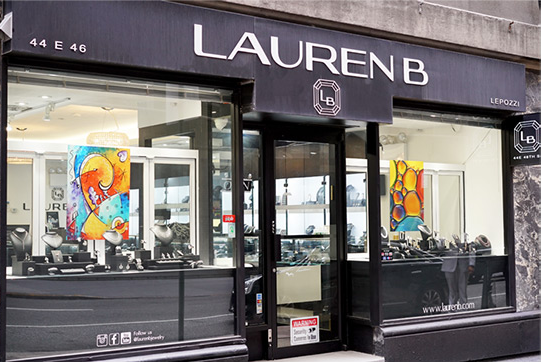 At Lauren B Jewelry of New York, we cater to everyone’s taste and offer our clients a large variety of engagement ring styles to choose from. From a simple solitaire to the more elaborate diamond and gemstone creations, Lauren B is your destination for engagement ring shopping in New York City. We have worked hard to develop our specialized line of Lepozzi custom engagement ring designs. A piece that is produced by hand is unique and stands out from the rest in its construction and overall precision. Each handmade engagement ring requires hours of labor to be finished by a skilled craftsman, who presses, pulls and twists the metals into their exact position. Because these rings are created by hand, we have the ability to achieve finer, narrower designs with smoother, sharper surfaces- something that machines can not do. You will notice that our rings don’t have excess metal or bulky appearances. As a result of this process, these rings will be denser and more durable, making them less resistant to scratching. These models are also noticeably sleeker and less “chunky” and showcase the pave diamonds. Our New York store location carries an extensive collection of handmade engagement rings designs. Both pre-set engagement rings as well as a wide array of loose settings. 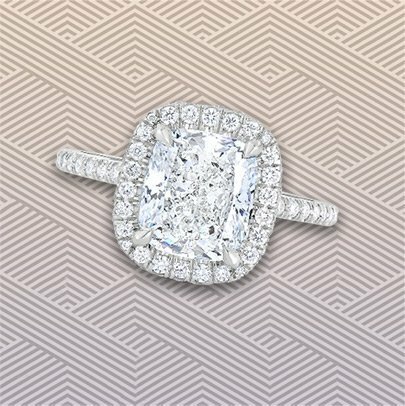 Each pre-set ring (one that already contains a center diamond) is tailored exactly to the size and shape of the center stone for a seamless, elegant look. 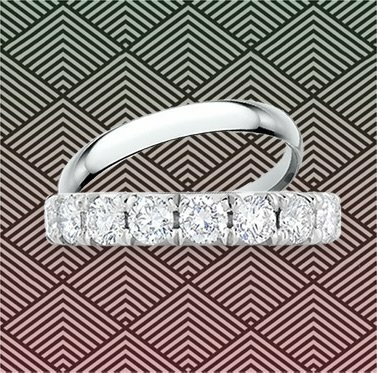 The quality is evident; we use fine quality diamonds in our pave settings to ensure maximum sparkle and brilliance. Our customers have the ability to purchase a finished ring, but in most instances we work with them to build the custom handmade engagement ring of their dreams. Using the many styles we have in stock in addition to any photographs or ideas we will create the design. We will also work with you on selecting a center diamond from our inventory of certified diamonds or selecting a gem such as moissanite. The completed ring is always magnificent. Our clients walk away with a ring that they know is an exceptional one of a kind piece.